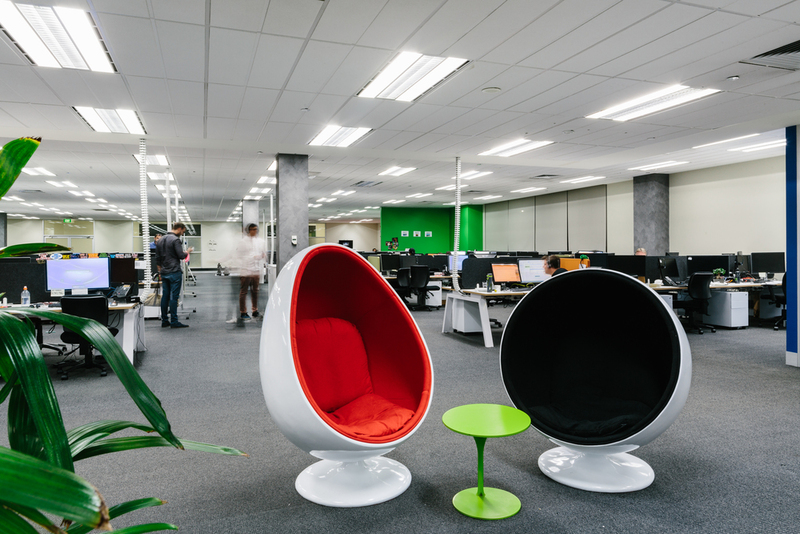 A vibrant and youthful office landscape has been successfully achieved at iSelect’s new offices in Melbourne. Opting for bright colours to reflect their brand image, iSelect designed an exciting lunch room perfectly pairing Inc chairs in a range of colours with Enzo café tables. The addition of the Jam counter table and Pac stools make for a great casual meeting place. 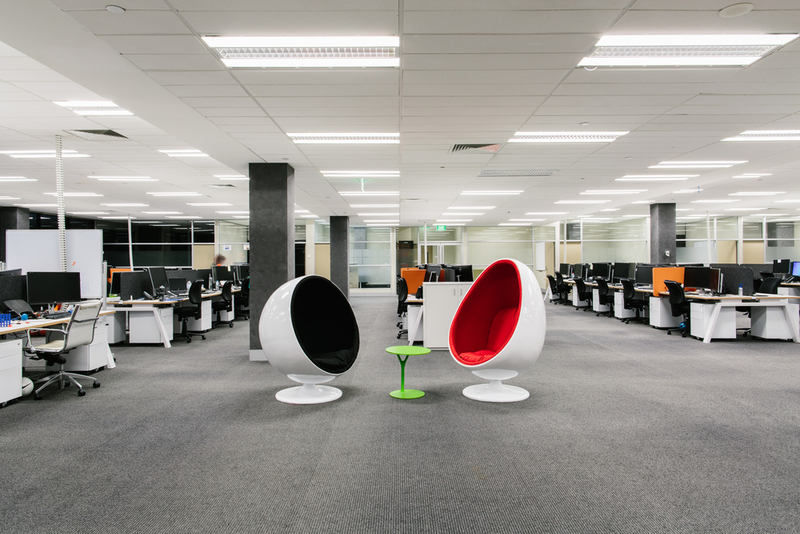 Modern and functional, the open plan offices feature our latest Keywork workstations, Trak Panels, Globe Mobile Pedestal and Umbilical Cord, for a visually clean finish. 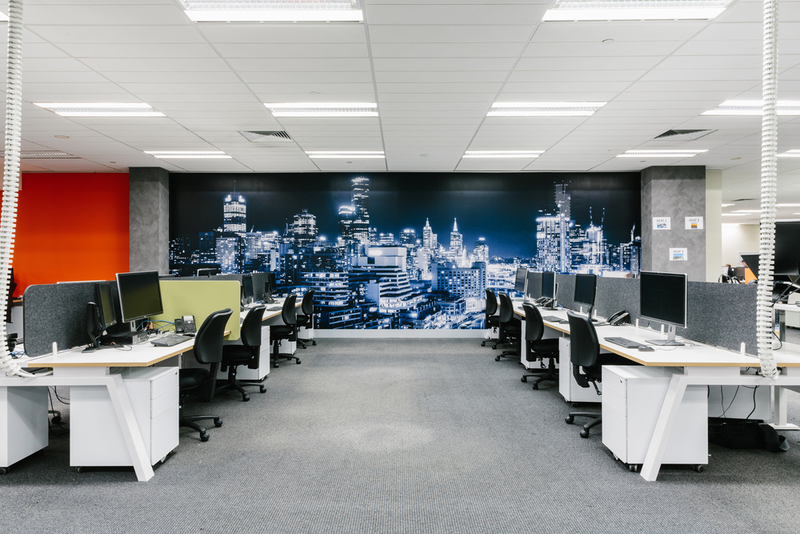 Funky wall graphics were used throughout the space, from breakout areas to offices, carrying through and urban and edgy look. Incorporating a unique game room featuring a giant chess board, pool and ping pong tables only add to the fun factor that ISelect managed to convey throughout their new stunning and playful offices!